We’re big fans of the Instant Pot, and how it turns what was once a lengthy and time-consuming cooking project into a fast and simple (yes, almost instant) process! 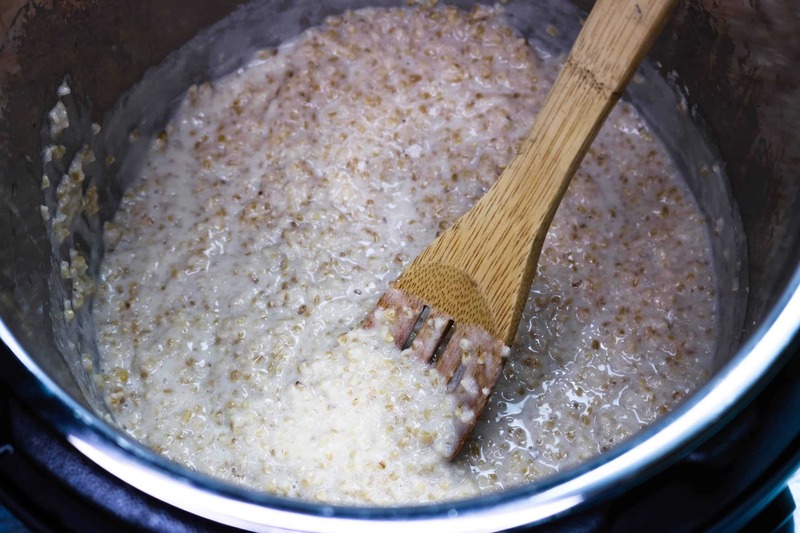 Instant Pot Oatmeal is genuinely one of the quickest and easiest things you can make. 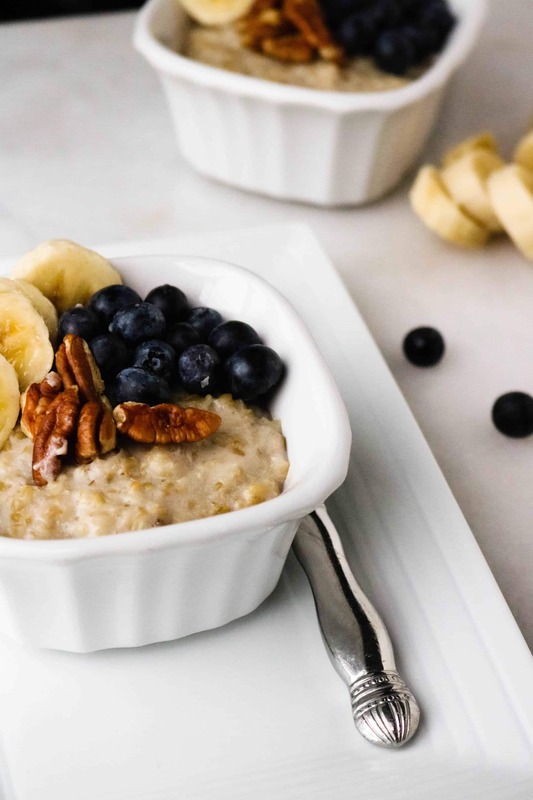 Not only is it an ultimate comfort food, oatmeal is hearty and satisfying — a true “power breakfast”. 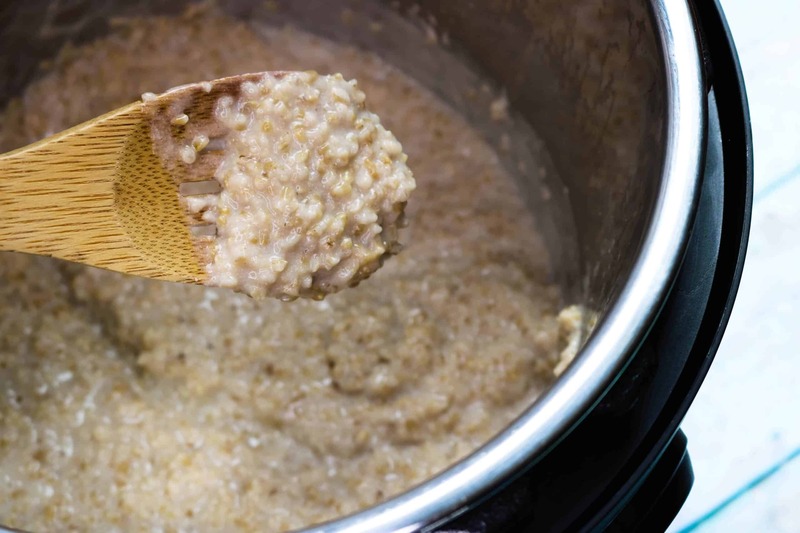 And, choosing to make your Instant Pot oatmeal using steel cut oats will provide even more nutritional benefits. 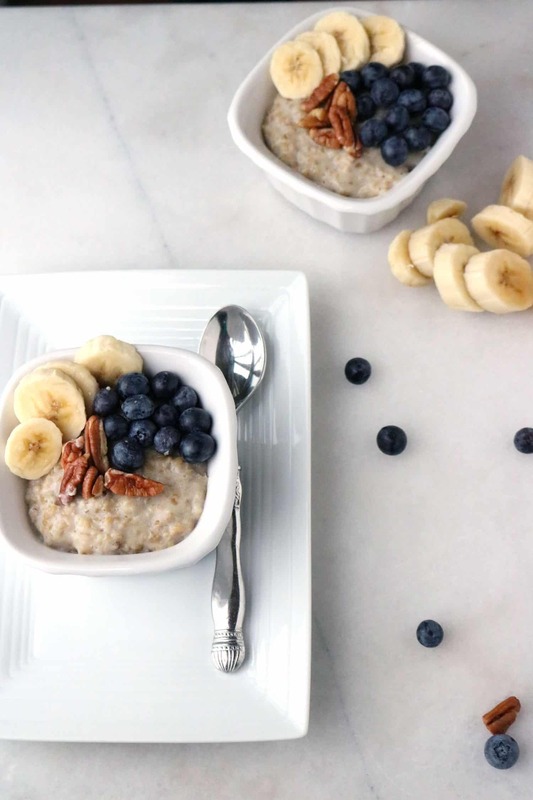 Steel cut oats are good source of fiber, as 1/4-cup of uncooked steel cut oats contains 2 grams of soluble fiber and provides 15-percent of the U.S. Department of Agriculture’s recommended daily allowance. 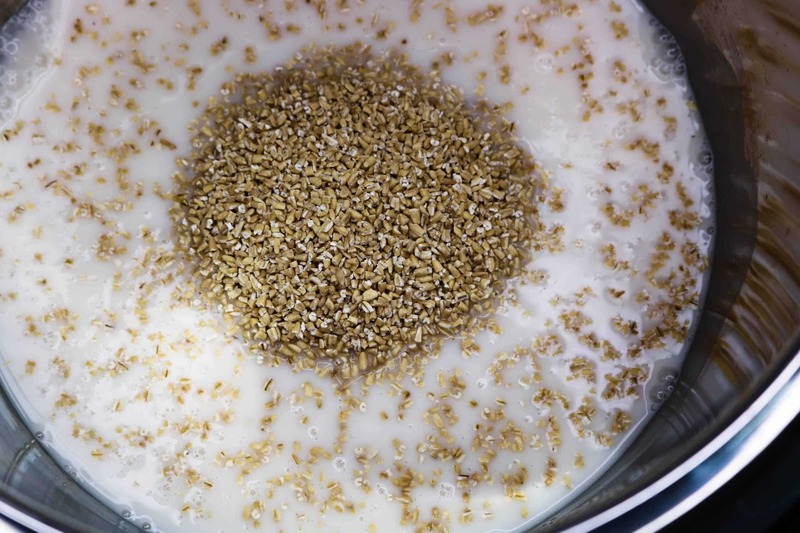 Steel cut oatmeal traditionally requires 30-40 minutes of hands-on stovetop cooking time. Compare that to the Instant Pot, which needs only 4 minutes of cooking time (plus approximately 10 minutes for the pressure to build). And, all you need to do is put the ingredients in the pot, set it, and walk away! 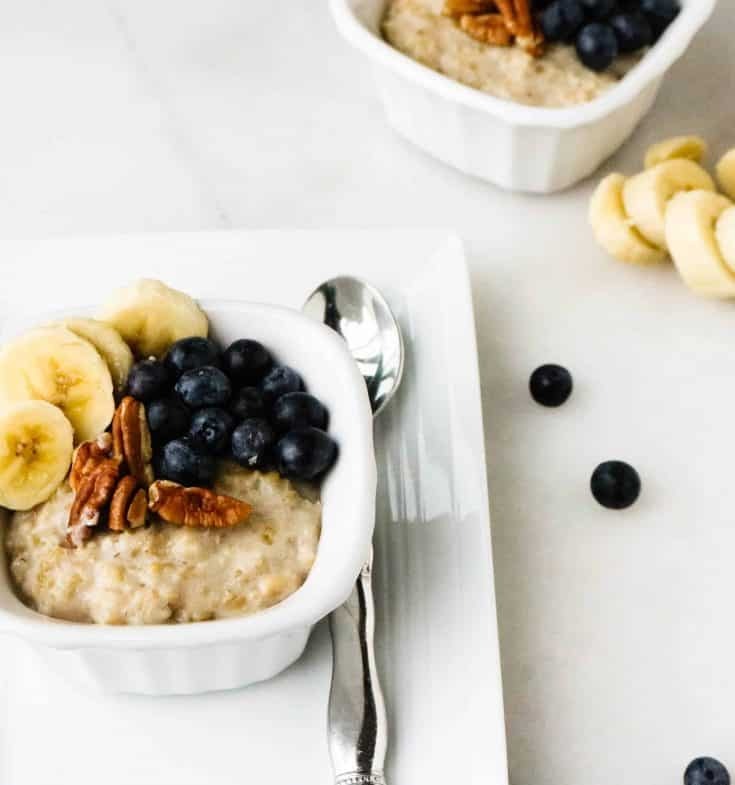 To make it a true breakfast of champions, try topping your Instant Pot Oatmeal with a superfood like blueberries, slices of banana (a great source of potassium) and pecans, which are high in magnesium. Step #4: Top with blueberries, sliced bananas, and pecans (or the toppings of your choice), and enjoy! Hearty, healthy, and so quick and easy to make. The perfect way to start your day! Choice of toppings — pictured is blueberries, banana and pecans.